Through the lens I see water as the great mover of obstacles. Spring this year ~ Linked with Our World Tuesday Blog Meme. Black and White Wednesday link. What brings you joy each day? Beautiful photos and wonderful coastal scenery ! Beautiful words and images! I am very moved by the first photo, the blues are just incredible in the clouds. I love it! Lovely collection of images and I like your haiku. I love the waterscapes and your sky shot is beautiful. Have a happy week! Always so much to see around the Cape. The sky is a living mural. Nice collection. Beautiful photos especially the first one of the harbor, and your Haiku is lovely. My best to you and Art Muse Doggy. Have a great week! Nice shots! 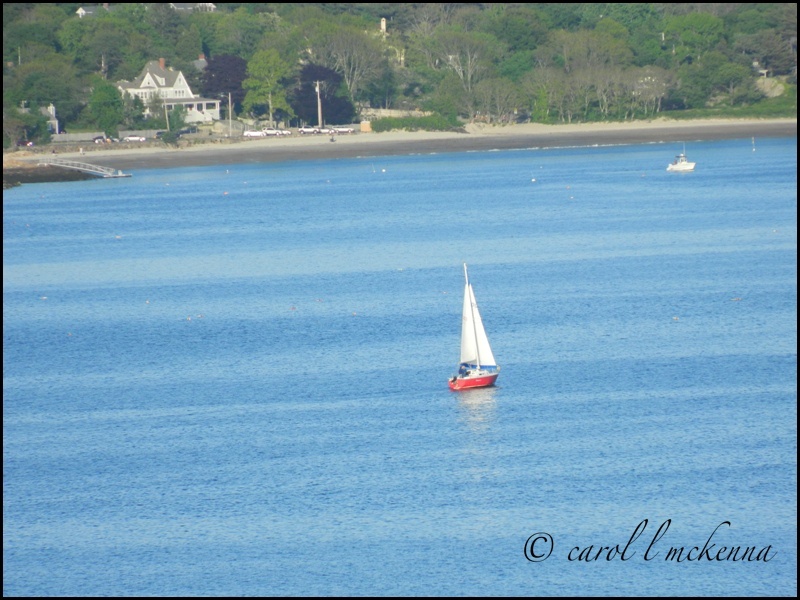 Cute little red sailboat. Based on the flags it had some nice wind to work with. The sea is beautiful even when it is grey and overcast. Great photos. hope you have a wonderful week. the photos are beautiful as always. I love the stormy clouds. Good post as always. Looks as if you are having a lovely summer and great views! Beautiful tour!! Boom, Bobbi and Gary. Wonderful coastal scenery! Your photos make me want to fly to that coast! I like to see those flags in the wind. Gorgeous! I bet the weather was gorgeous up there yesterday! I love your vivid photos, Carol. 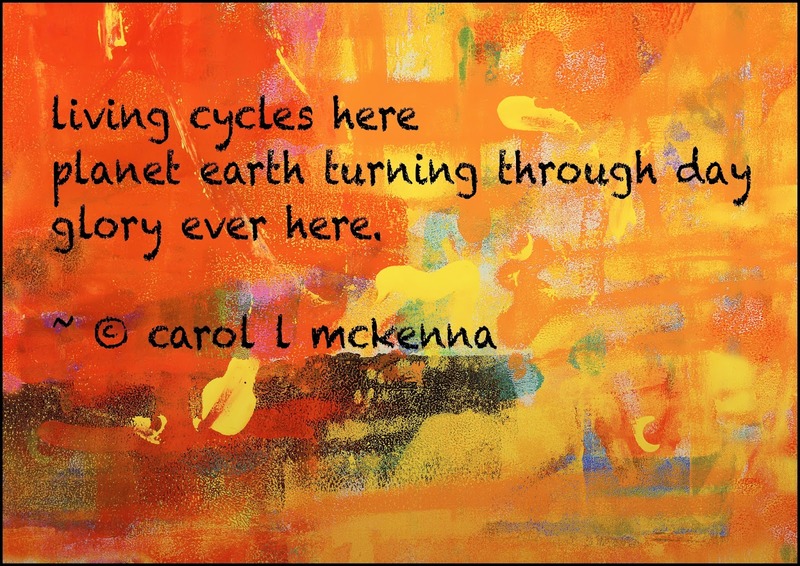 Fabulous haiku and art Carol!! I also LOVE the last photo with all the flying flags-great shot! Love the black and white photo. So beautiful. I love photographing water....it can be so still, yet powerful. Love the row of flags. This is a wonderful series, but I truly adore the creative shot for Alphabe-Thursday! Goregous post Carol ... nice response on BrunuhVille's music ... thank you for sharing your posts with us at CDHK. oh my - always love those water shots! 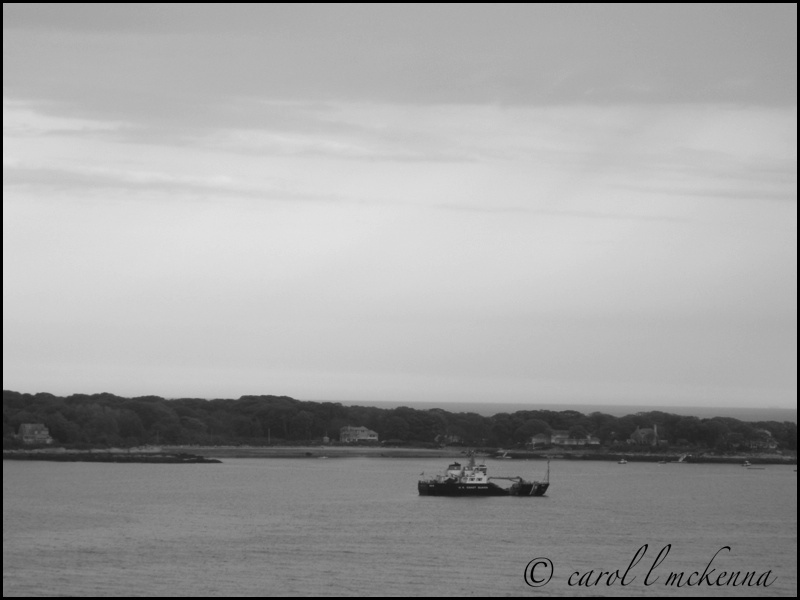 the black and white seems especially serene. I always love your haiku - today's is particularly lovely. Thanks so much for linking up and sharing your corner of the world! Sorry to hear your weather has been either winter or summer with very little spring. Same here, unfortunately! Especially liked the second one with the haiku. 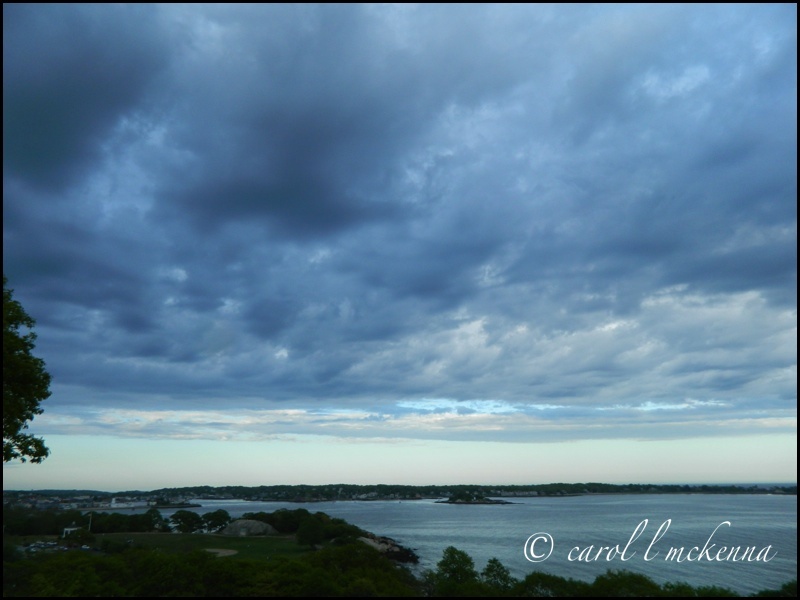 Beautiful shots of your area, Carol! Happy weekend! Wonderful shots! I love the view on the first one! I also love the quote: The earth has music .... so true! 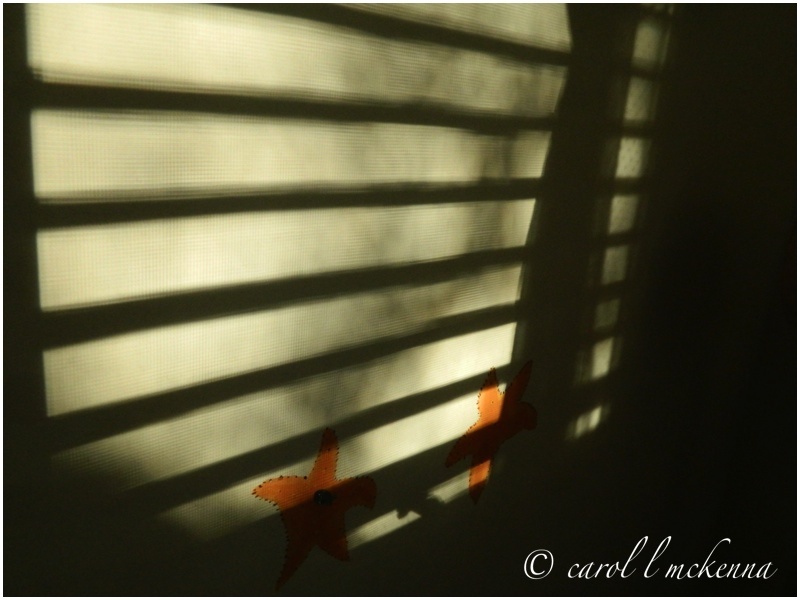 I love the flags all in a row, and the shadows! Your photos are always very creative Carol so a perfect C for you, it has your name written all over it :) ! 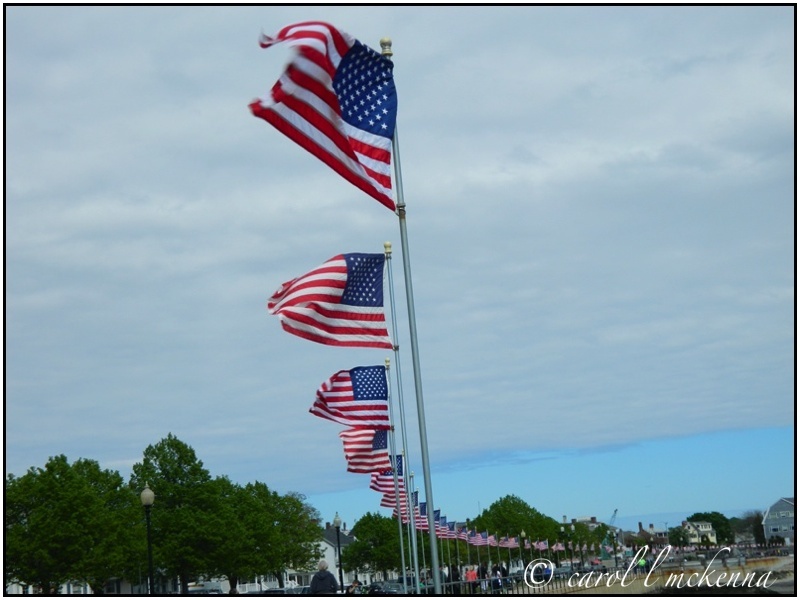 Love your AlphabeThursday shot, and of course, the flags! Great tip, too, for the cotton ball's use -- I'll remember that one! !